Set your anchor for Joe’s Crab Shack menu prices. Joe’s Crab Shack is an established chain of casual seafood dining restaurant with a beach theme and offers unique, high-quality seafood dishes. Although seafood is their specialty, you can also choose some meat options, salads, and sandwiches. Joe’s regularly offers daily specials and seasonal menu items. Be sure to ‘strap your bib on’ and enjoy Joe’s Crab Shack steam pots and buckets of crab. Joe’s is a family-friendly dining option and offers a kids menu and outdoor playground. Below are the latest Joe’s Crab Shack menu prices. Give the gift of the coast! Joe’s Crab Shack gift cards are a perfect way to let someone enjoy fresh tasting seafood. By signing up for Joe’s Catch e-club newsletter, you will receive regular emails that consist of great dining offers and information about new food items and events. Want to look hip & cool? Check out the Shop page on Joe’s Crab Shack website to get your hands on fashionable t-shirts and caps. You can also get kids clothes and other items. Joe’s Crab Shack is committed to providing their guests complete and accurate nutritional information for their menu items. Head over to the Joe’s Crab Shack official website to get all the details or ask your server. For those guests that must avoid gluten for nutritional reasons, Joe’s offers a gluten friendly menu. Looking for a fun place to work? Joe’s Crab Shack offers a casual work environment, the opportunity to meet and serve guests and a competitive compensation package. Head over to the Career page on Joe’s website to find out more details and a list of current openings. Joe’s Crab Shack partners with organizations that strive to improve kids’ health and well-being. Joe’s works with the No Kid Hungry group to end childhood hunger. The first location of Joe’s Crab Shack was started in 1991 in Houston, Texas. Through several expansions and acquisitions, Joe’s Crab Shack is now part of the Ignite Restaurant Group. Ignite is a publicly traded company with headquarters in Houston, Texas. 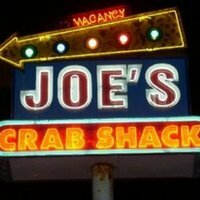 Today, there are 138 Joe’s Crab Shack locations in 35 states. Joe’s is active on social media. Be sure to follow and connect with Joe’s through the various social media platforms. For more information about Joe’s Crab Shack locations or the latest news and updates, visit their official website. I don’t believe it. My granddaughter has ate there and I have to for 16 months. I think you just want to complam, that is sad. I go there almost every week. I call BS. Your daughter needs to learn to eat normal amounts if there is any truth to that. Joe’s does not have small servings. Anyone who could possible eat $45 worth of food there is just a glutton. That is more than enough for 2 people there. you have some nerve to say your Not expensive,please…,unless i won the lotto or was rich.. ill never eat there, your prices have made sure that the low income and middle class wont be eating there any time soon . I am Middle Class and eat hear all the time…. Stop being so cheap, You want cheap food keep going to McDonald’s. And if you are in the low income bracket maybe you should not worry about going out to a nice dinner and aim to get out of the low income bracket. After reading your post…. Maybe you should go back to school and learn how to spell. Just a thought…. I always check the menu & prices out to whatever restaurant I will like to go to before I arrive. So that my budget or tummy doesn’t have any regrets. It’s funny people bash this place on their prices because you can probably say one pound of jumbo shrimp cost 9-10 dollars, they still have to pay the employs corporate and in store, so that knocks up the price eh maybe 14-15 dollars THEN they have to make a profit so that bumps up the price even more, while people complain about the price they don’t really stop to think about what they’re saying the company isn’t keeping all 24$. Just thought I’d put that out there, great food worth the price. anywhere from $80 to $300 on a STUPID pair of sneakers! 9-10 dollars for a pound of shrimp? Not here. More like 5-6 even at Kroger. We got them In Tampa off the boat for much less. I doubt they buy them at retail prices. It isn’t about price but is about good. Yes I agree fit the price you pay. I always get the steam pot for two the amount of food you get we end up taking home a to go bag and for two people it can feed 3 believe me we stretch the food and walk out paying about 70.00 this enclosed a beverage an alcohol beverage so for the price it’s worth it once every 2-3 mo the to treat yourselves just save up look at the menu on line save that money why go to a fast food place when the food is fast you eat if fast and did you enjoy it? At leaste going to Joe’s Crab Shack most of the time there is a birthday it’s very entertaining so a great meal and short entertainment you can’t ask for anything more. The price is high… but the taste is unmatched! WELL WORTH THE MONEY! In the small town I live in its about 2 or so hours to the nearest Joe’s and tho I haven’t been able to make it in a while due to finances being skimpy, I was just gifted a Joe’s Crab Shack gift card from a dear friend…. SO ILL SEE YOU SOON! Have a Beantown Bake ready for me! Go try it once, if you know somewhere better then go there with your crying. Joe… BRING A CRAB SHACK NEAR ME! whose this Landry guy and did he every play for the cowboy’s. that one made it big in real estate. looks as if the ignite restaurant group imploded. tear down and rebuild and at every Joe’s Seafood Watering Hole you’ll find a Brick House Tavern waiting for you.